A Template is a framework that creates a themed web site much quicker and with less effort. You can think of a template as a starting point for your project. Each template includes PHPRunner project, pre-built web pages, and a script for creating tables in MySQL database. Templates are comfortable to work with. The user does not have to worry about creating the database structure or the tables or even the layout of the web pages. All you need to do is select the desired template in PHPRunner and build the project. PHPRunner offers a large number of application templates - ready-made themed websites with complete graphical interface and database structure. All of the templates are easy to work with and completely customizable. The template could be used as a stand alone website, or could be integrated with other PHPRunner web applications. Survey template helps you build professionally looking web surveys. 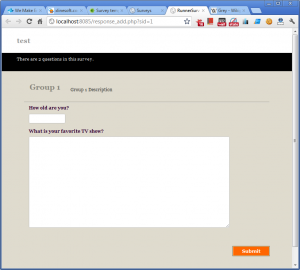 You can create surveys, add groups and questions, provide answers choices. Once created survey can be activated or taken offline. You can change look and feel by simply choosing one of visual templates. 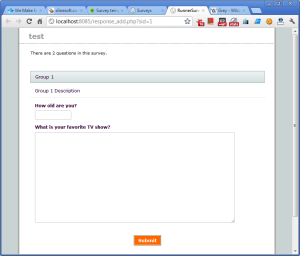 Quiz template allows you quickly build simple tests for your student or website visitors. East Meets West Productions, LLC simply loves XLineSoft! PHPRunner is the best databasing product on the market. Going from concept to proto-typing is now a matter of hours instead of days or weeks. The ability to show the client a working "vision" and get immediate feedback has been paramount to our success. The boss doesn't even ask if something is possible anymore she just knows that if it's a database it can go online!